The Morgan State Basketball program is looking for a new head coach for the first time in almost 15 years. After not renewing Todd Bozeman’s contract, the Bear’s search is on. Morgan State Head Men’s Basketball Coach Todd Bozeman’s Contract Is Not Renewed. And according to a few reports, their strongest candidate is within the Beltway of the DMV. 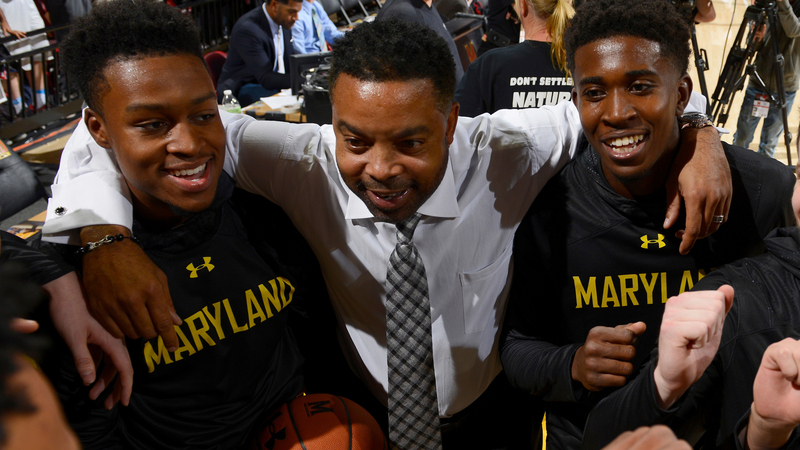 Current Maryland Terrapins assistant coach Kevin Broadus is rumored to be a strong candidate for the Morgan State head basketball coach opening. He’s a solid coach and an effective recruiter for the Terps. Since his first season in 2017, Broadus has been the lead recruiters; even helping the Terps to get a top-ranked recruiting class in the Big Ten before this past season. His past resume has strong ties to the DMV area as well as HBCUs. He played one season at Grambling in 1982 and then transferred to Bowie State in 1983. He was a two-time team captain from 1985-88. He was a 1,000 point scorer over the course of his career and was a CIAA All-Rookie Team selection. He later went on to get a degree in Business Administration in 1990. Also during that year, he started his coaching career as an assistant. He took a short trip down the road in 1993 as he joined the University of District of Columbia coaching staff for four seasons. He later was an assistant coach at American in 1997, then George Washington in 2001, and finally Georgetown in 2004. During the 2008-09 season, he took Binghamton to their first NCAA Tournament in school history. His only head coaching stint was cut short after resigning during an NCAA investigation on his program. He later returned to Georgetown in 2011 and then joined the Maryland staff in 2017. Ironically during his time at Binghamton, current Morgan State Atheltic Director Edward Scott was serving Associate Director of Athletics at BU. The relationship between the two must be a factor during this coaching search. Broadus has HBCU experience as well as experience at some of the top programs in the Washington DC Metro area. His resume is impressive and taking the Morgan State opportunity seems to be a perfect fit. Despite being a heavy candidate, Morgan State Athletics has not made an official decision.